RouteSavvy Tracker is easy-to-use GPS tracking software that allows you to track and monitor field resources via cell phones with the RouteSavvy mobile app. 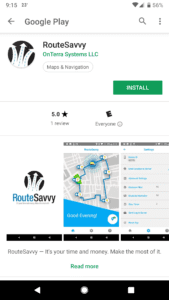 The RouteSavvy mobile app is designed to work in conjunction with the RouteSavvy web application for GPS tracking and visualization. This includes seeing current position of phones being tracked, phone history (aka bread crumbs), and data export. These also can allow RouteSavvy users to compare a route planned with RouteSavvy to the actual route driven. 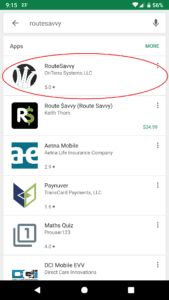 Search the Android Play or Apple iTunes store for RouteSavvy (IMPORTANT NOTE – The RouteSavvy mobile apps are free, so avoid any similar apps asking for payment). 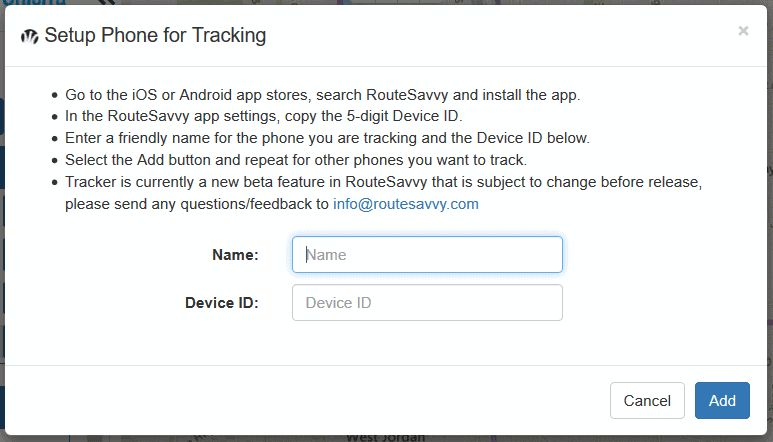 In the RouteSavvy mobile app Settings, copy the Device ID from each phone you want to track. You can find your device ID in your Settings section. Click on Bulleye icon next to phone to see current phone position or Dashed icon to show history. Click on each Phone to see additional actions. Most actions are self-explanatory, i.e., to change the phone current location icon, choose Phone Properties etc. 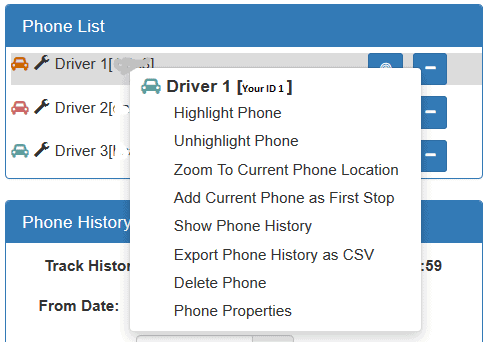 The Export Phone History as CSV option will allow you to download a spreadsheet of all GPS data, including virtual odometer that you can use to evaluate miles driven. To adjust history (up to 1 week of data in the past month), change the start and end dates. 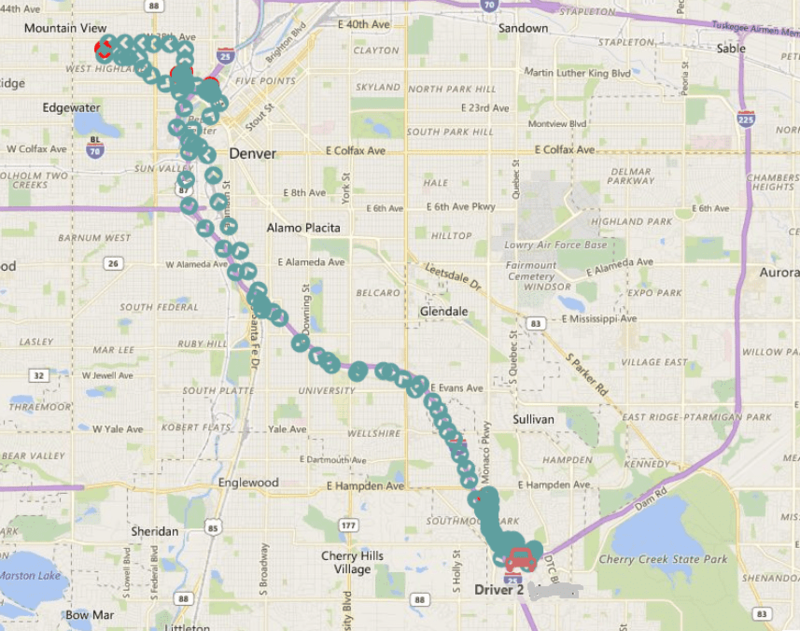 RouteSavvy Tracker uses activity types to try to separate the type of tracking. 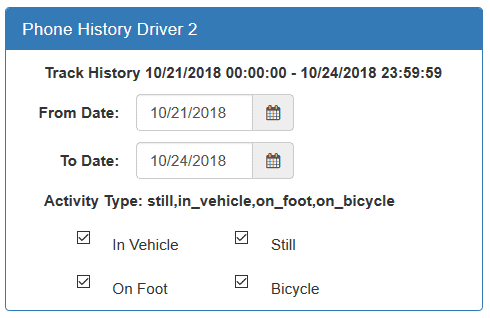 By default, RouteSavvy Tracker only shows In Vehicle and Still activities. But if you want to see movement to and from vehicles etc., select On Foot. A stop icon will be show if the device is stationary for more than 2 minutes. 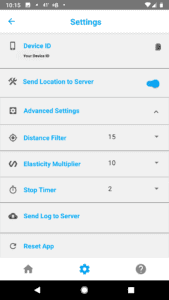 The RouteSavvy Tracker mobile app has a number of advanced settings for beta testing. Most of these should not be adjusted without consulting the RouteSavvy team. 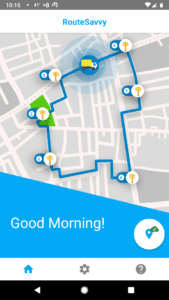 Send Location to Server – This setting allows you turn of GPS tracking on a phone for privacy or if the app is not being used, i.e. on weekends. To resume tracking, just find RouteSavvy mobile app in your list of apps and open. If you are having issues with the RouteSavvy mobile app, choose the Send Log to Server option in the advanced settings and contact support@routesavvy.com for support.